Kiwi taxpayers spend $6 million saving 7 Kiribatis from drowning, $0.3m on 1,796 Kiwis. Last year 88 kiwis drowned. There are a number of agencies which try to prevent this loss of life, including the Royal NZ Coastguard, Life Savers NZ, the New Zealand Water Safety Council all of which have to raise money from the public or businesses to maintain their operations. The news has, naturally been topical lately because 2017/18 has been a fairly not summer. 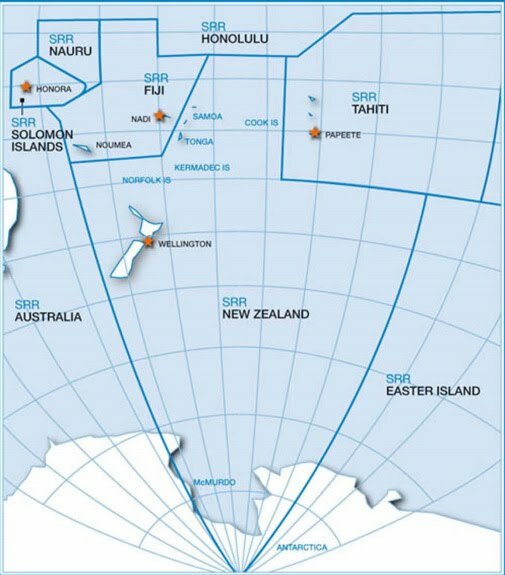 Now Kiribati is 5,500km from New Zealand [https://www.distancefromto.net/distance-from-kiribati-to-new-zealand] which is just within the one-way range of an Orion [ http://www.airforce.mil.nz/about-us/what-we-do/aircraft/orion.htm]. So this anti submarine warfare aircraft wasn't just making a minor detour while patrolling our EEZ it is carrying out a full on Search and Rescue mission. As you can see, technically Kiribati isn't strictly inside the the NZ SSR but obviously we do our best to help out. But at what cost? The NZDF Budget statements under National over the years became more and more opaque making it very difficult to work out how much it cost taxpayers to operate the NZ Defence Force. However the last time such values were available (2015) it was clear that for each operational hour the RNZAF spent flying the P-3K2 Orion Taxpayers paid $85,000. So ten hours flight there and back plus five days of ten hour operational patrols comes to 70 hours or just shy of $6 million. The Surf Life Saving New Zealand Annual Report [ https://issuu.com/slsnz/docs/annual_report_2017_full_version/1?ff=true] shows that the annual expenditure of that organisation is just shy of $9.5 million. So the RNZAF mission to Kiribati costs taxpayers $6.5 million but running 5,000 New Zealand life saver volunteers quarter of a million patrol hours and 1,796 rescues has to come from lotto tickets and cake stalls. The only way this makes sense is if you operate on the basis that you need to find something useful for a large but completely useless military asset to do, because you need to have a completely useless military asset regardless. Why do you need a completely useless military asset? To keep the US (who sells them) sweet. In case a submarine attacks us. As this page points out [ https://sites.google.com/site/nzdef2030/flaws-in-nz-military/na ] there is an almost zero chance of our being attacked by a hostile submarine. In two world wars we never were. There is no particular reason for New Zealand to get involved in blowing up other people's submarines either. Anyone who feels threatened by submarines (e.g South Korea) already has (16 of) its own P-3 Orions for that purpose. So how about this crazy idea. How about not having an anti submarine warfare squadron at all and just replace the C-130H Hercules transport with an aircraft also capable of maritime patrol. That might save us a $1.5 billion (I am not kidding). You do not need sonar buoys, or magnetic resonance to detect an overloaded lifeboat floating in the Pacific. That's for detecting a stealth war machine. The nice thing about SAR victims is they really want to be seen. What you mostly need is standard ocean surface scanning radar, FLIR (forward looking infrared), binoculars, and eyeballs. This is all you need to find 6,000T fishing boats too! Hell, a satellite can spot them. Fishing boats are very hard to hide compared to a submarine. It would be perfectly feasible to half the number of large multi engined aircraft in our Air Force by doubling up on transport and EEZ patrol functions. That would save us both capital and operational costs. And if we really need extra capacity for civilian missions like SAR and Disaster Response a private contractor like Air Chathams could provide it at a fraction of the cost. Yes, some in the RNZAF will scream and have tantys, (just imagine the fuss if you look their indulgent $150m aerobatic trainers away) but a government which is interested in results needs to look hard at the numbers. The Labour-NZ First coalition has made a great deal of noise about impoverished kids. But so far the answer seems to be more cake stalls. If it seriously wants to make a difference it has to look very differently at the gargantuan waste of money that is the NZDF.